For those of you that don’t know, the Giro d’Italia is Italy’s premier cycling race (comparable to the Tour de France). It’s a pretty big deal. And for the first time since 2009, it’s heading through the Cinque Terre. You can see the route map and expected passing times here. 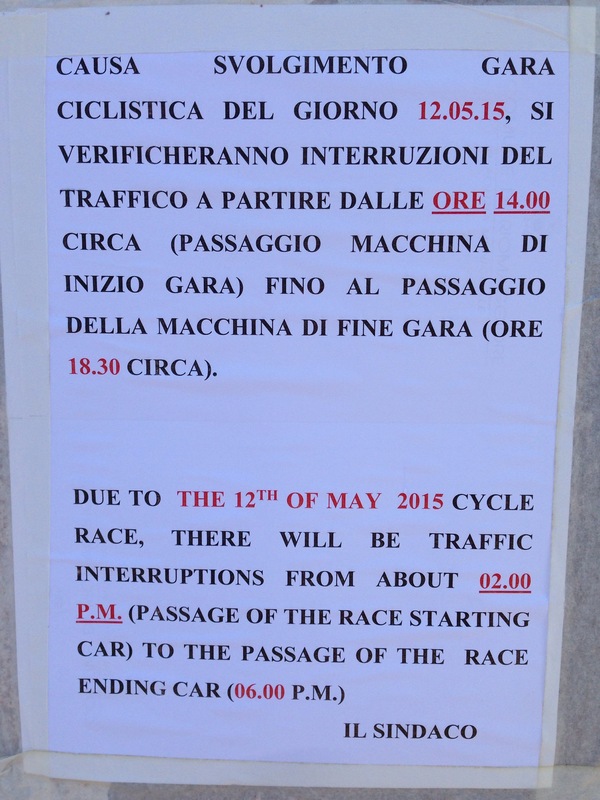 This is great news for sports & cycling enthusiasts but not such great news for those planning to arrive by car to the Cinque Terre on Tuesday, May 12th, 2015. The cyclists will be starting in Chiavari, making their way through the Cinque Terre, and finishing up in La Spezia. In the Comune di Riomaggiore the Litoranea delle Cinque Terre (a.k.a. SP370) will be closed to traffic from 2pm to approx. 6:30pm. 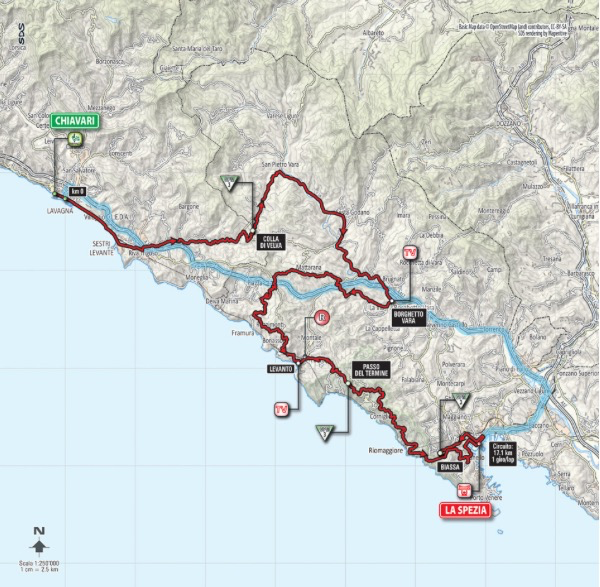 Other comuni (La Spezia, Vernazza, Monterosso and Levanto) will be having road closures for presumably different times (depending on when the cyclists are expected to pass by). If you are planning to drive to the Cinque Terre that day, speak with your host in advance to see what recommendations they might have (whether that be to park elsewhere and train in or to arrive before/after road closure times).